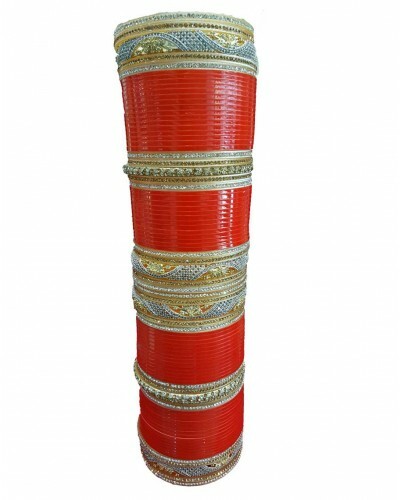 Bridal chura is worn by bride on wedding time. It always gives a charming look to bride. This is one of the auspicious jewellery for which every bride is excited. • Disclaimer: This is delicately designed and manufactured product using Alloy as base. Design may mismatch a little from the product shown in image as it is handcrafted by traditional artisans. Though the product may not have sharp edges it is recommended to be put on hands with care not to have any injuries.